Each January, the NNCI hosts a Winter School designed to give junior scholars an introduction to and practical experience with methods and theory for better understanding the social dimensions of emerging technologies. The one week program introduces students to a variety of tools, concepts and methods that guide social science research into emerging technologies through presentations, practical activities and rigorous discussion. Ample work time and breaks are built into the Winter School schedule to encourage participants to guide their own learning experience throughout the week. Mentorship sessions with available faculty are also offered. Presentations describing various tools, concepts and methods that guide social science research into emerging technologies will be supplemented by practical activities and rigorous discussion. Ample work time and breaks are built into the Winter School schedule to encourage participants to guide their own learning experience throughout the week. Mentorship sessions with available faculty will also be offered. The Winter School is an immersive experience for scholars that want to share their own unique research and learn from peers and experts with diverse approaches to investigate the human and social dimensions of emerging technologies. The faculty at the Winter School will offer theoretical framings, analytical tools and hands-on lessons in responsible innovation, anticipatory governance and other approaches. Participating in the Winter School will enrich your network of peers and mentors and all participants will present their research at the Research Symposium. Applicants should be advanced graduate students and/or recent PhDs (post-doc or untenured faculty within 3 years of PhD at time of application) with an expressed interest in studying emerging technologies such as nanotechnology, robotics, synthetic biology, geoengineering, artificial intelligence, etc. Applicants may come from any discipline, but priority will be given to those whose research focuses on societal questions and must be demonstrably proficient in English. 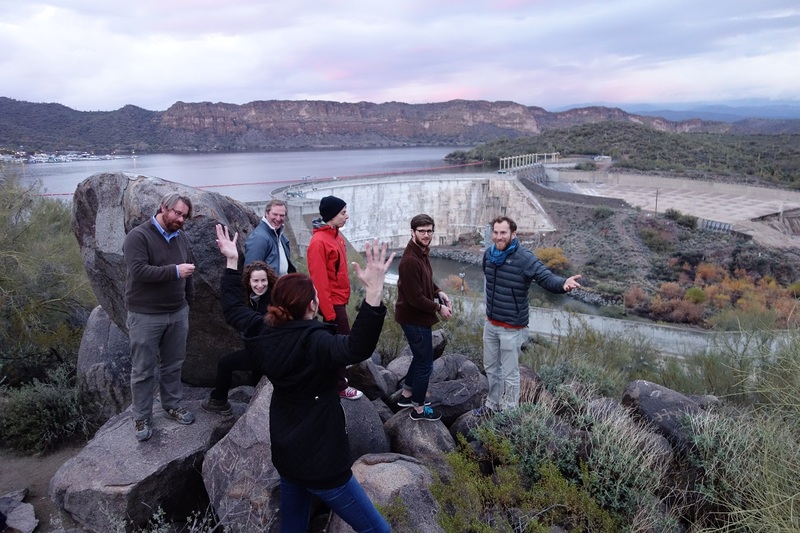 The program fees for accepted students will be covered by the NNCI including seven nights stay at the Saguaro Lake Ranch, all meals and local transportation from Tempe, Arizona. Participants will be responsible for securing their own travel to Phoenix, Arizona and should arrive in Tempe before 1 pm on January 3rd. The 2019 Winter School will be held January 3-10, 2019.